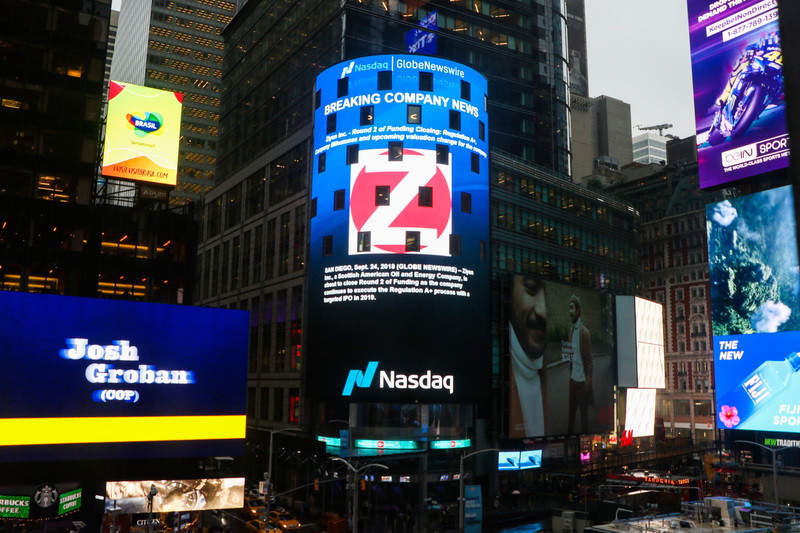 NASDAQ Features - Ziyen Inc. Since our formation back in 2016, the company has seen rapid growth. 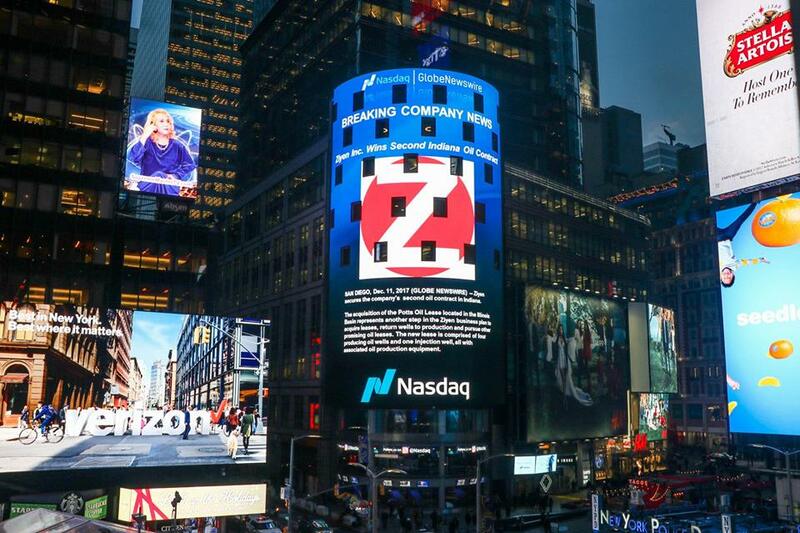 Our success has seen Ziyen Inc. featured multiple times on the NASDAQ Board, Times Square, New York. 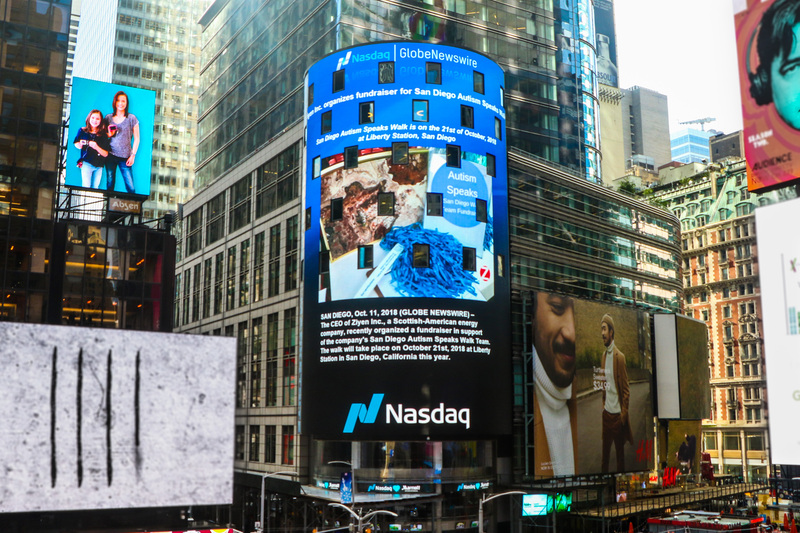 We would like to thank all of our shareholders, stakeholders and everyone involved who have made this all possible. 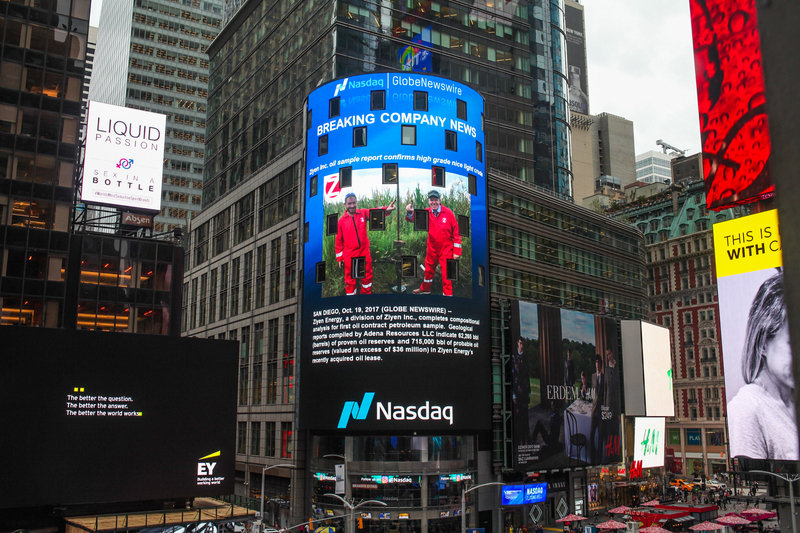 Ziyen Inc., a Scottish American Oil and Energy Company, proudly announces its Energy Division has become an oil producer in the Illinois Basin. 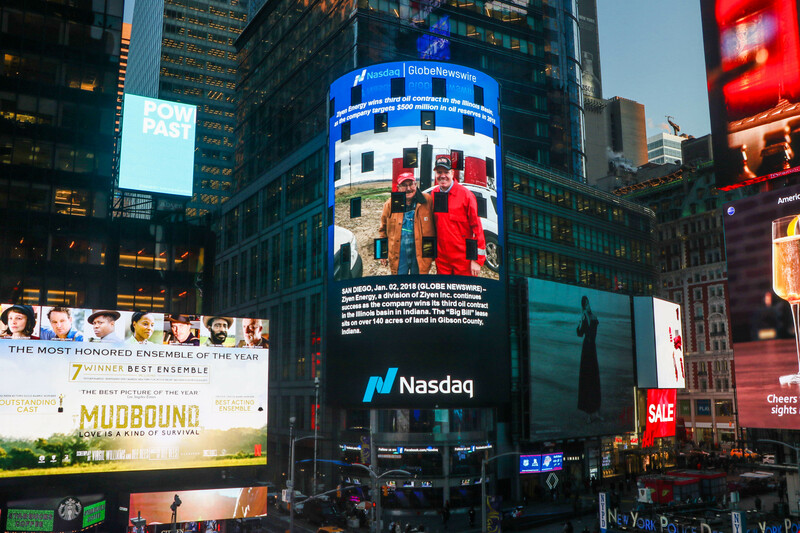 The CEO of Ziyen Inc., recently organized a fundraiser in support of the company’s San Diego Autism Speaks Walk Team. The walk will take place on October 21st, 2018 at Liberty Station in San Diego, California this year. 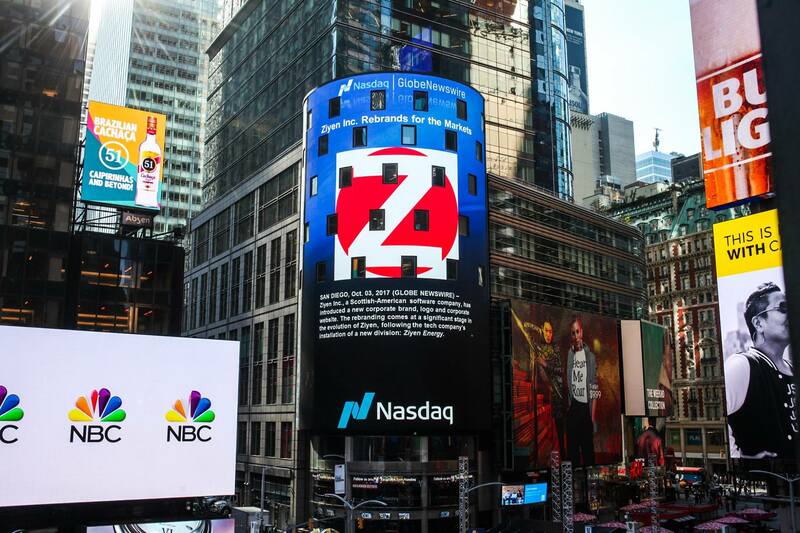 Alastair Caithness, Ziyen Inc. CEO was recently invited to ESPN’s BISTalk Radio to discuss Ziyen Inc. and the company’s ambitious and aggressive business plan along with the practical considerations for oil production while assessing the potential for energy sustainability. 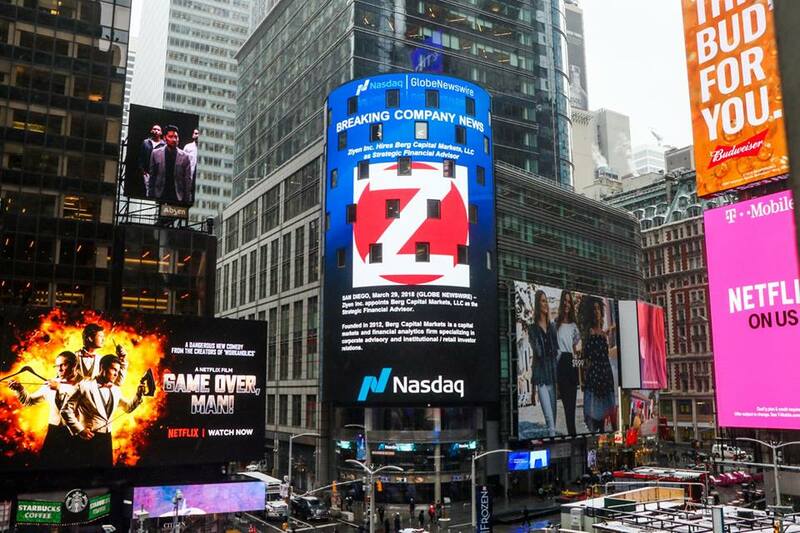 Ziyen Inc. appoints Berg Capital Markets, LLC as the Strategic Financial Advisor. 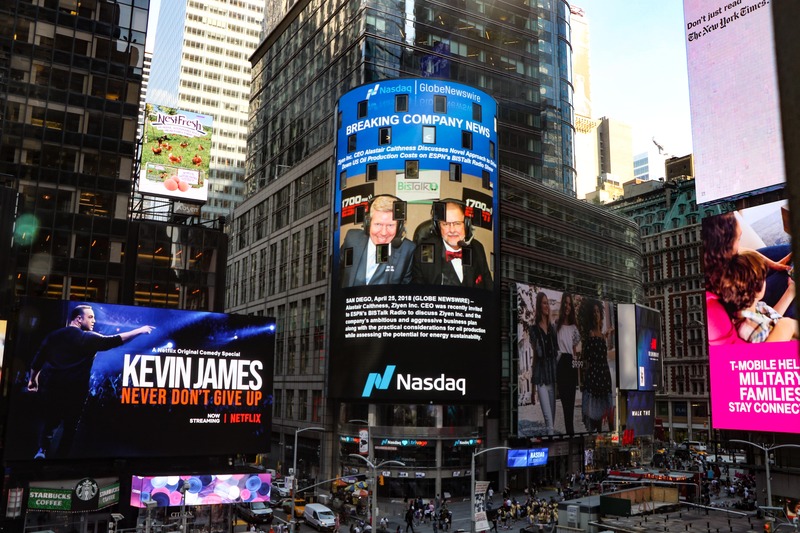 Berg Capital Markets leverages decades of experience in finance, capital markets, and has long-standing relationships with investors controlling $300B+ in investable assets. 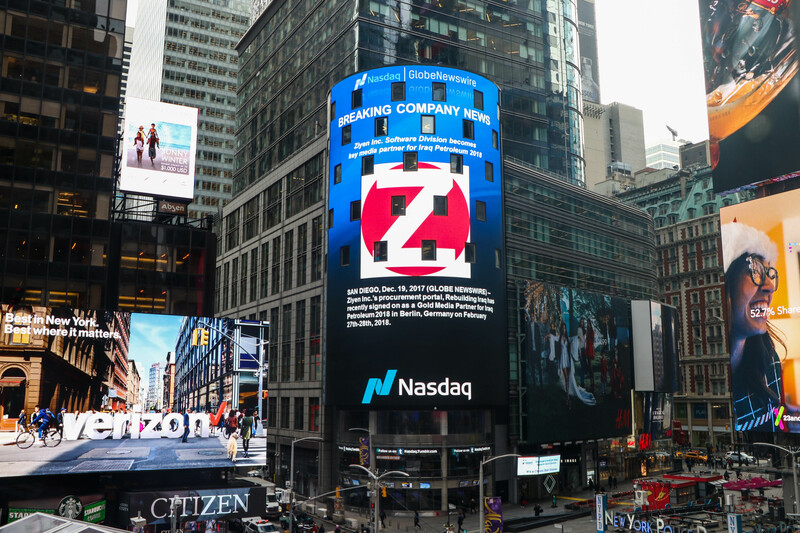 Ziyen Energy, a division of Ziyen Inc. continues success as the company wins its third oil contract in the Illinois basin in Indiana. The “Big Bill” lease sits on over 140 acres of land in Gibson County, Indiana. 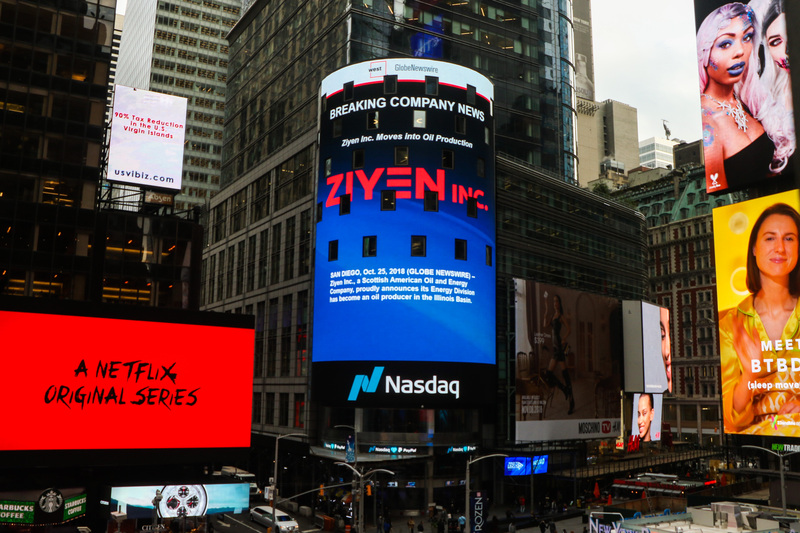 Ziyen secures the company’s second oil contract in Indiana. The acquisition of the Potts Oil Lease located in the Illinois Basin represents another step in the Ziyen business plan to acquire leases, return wells to production and pursue other promising oil leases. The new lease is comprised of four producing oil wells and one injection well, all with associated oil production equipment. The deal includes 7 existing oil producing wells worth over $6 million dollars of proven reserves along with a support water Injection well and a water producing well for injection purposes with a further potential for 20 new oil producers on undeveloped reserves on the site worth over $30 million.